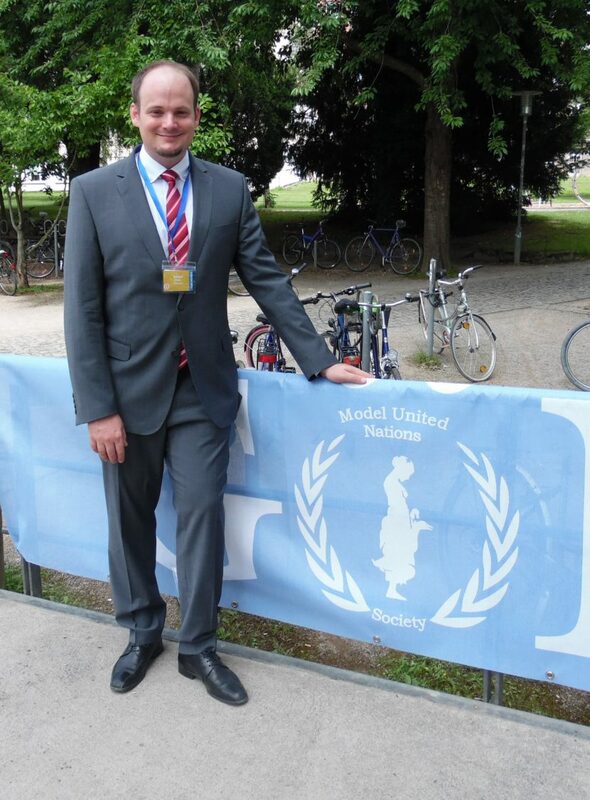 Among the guests who graced the opening ceremony of this years GöMUN was Kristof Müller. During his time as a political science and an economics history student, he joined the Model United Nations Society in 2005. He also noted that he was one of the pioneers who championed the idea to set up a seminar, which would permit students interested in this simulation to earn credits for it, a memory, which he fondly seem to cherish. Looking back, he says his involvement with the society influenced him in so many ways. His readiness to take up the role of the financial secretary has helped him not to shy away from taking up leadership roles in his business and private life. He advised delegates of this year's conference to not let GöMUN be a one-time experience but rather keep up with their interest in global affairs, as this will one day pay off. “The more you do it, the better you become. And the more fun it gets”, he added. According to him, participants of MUNs are offered the opportunity to practice their oratory and negotiation skills and urges everyone to take this seriously. Reminiscing on his time as a member of the society, Kristof seemed fascinated by how some things have evolved. He lauded both team and delegates for their extensive use of technology during the conference, stating that, they had no such means during their time. He however admitted that “Some things never change!”, noting the same chaos, enthusiasm and team dynamics amongst the team as he interacted with some members and how far it has come in organizing the annual GöMUN. He also took some time to visit some councils and was very pleased with what he witnessed. Currently, Kristof Müller works as a digital media manager at the chamber of commerce industry and enjoys juggling his time as a player and coach of a baseball team.